Legend has it that many bloggers don't post very much during the holidays. I was like "I'm not going to be like that... I'm going to be the best blogger ever! I'm going to post three times a day!" I'm reading: If This Post Doesn't Convince You To Subscribe to my Blog, I Don't Know What WillTweet this! May the baby jesus bless you for this! 2. Honey You Shrunk the Audience (Disneyland). Also, please keep posting so I dont die of boredom during xmas. Thanks. Kirsten - I'll keep posting. 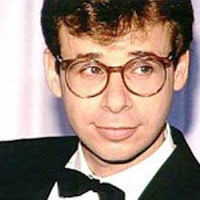 It might just be photoshopped pictures of Rick Moranis declaring his undying love for me, but I'll keep posting. Haha! I am definitely looking forward to those! Merry Christmas! I didn't technically subscribe to your blog... but you have your very own button on my browser toolbar... Marry Christmas! If I could subscribe to your blog a second time just because you are posting these pics, I would do it.